Current efforts focus on elementary school children and their surrounding impoverished community of Pato-O. We provide care for the school children and their immediate family. Efforts include dental care, prescription glasses, and coordinating higher level of care when indicated. We methodically record data to identify public health concerns and chronic illness. This also allows us to monitor individual care from year to year. Through our clinics we have identified specific subsets of high-risk patients with diabetes, hypertension, chronic respiratory illness, and anemia. We have developed sustainability programs, working with nurses in the community, to dispense medications, provide education, and facilitate follow up in our absence. They also record the progress of these interventions to demonstrate the measurable outcomes of our effort. Through the feeding program the students of Pato-O elementary school are served a healthy meal while at school three days a week. This is sponsored by N2L partners in order to eradicate the high malnutrition rate and promote school attendance. There is a research study under way to evaluate the effect of the feeding program on malnutrition in the school. To date over 54,000 meals have been served to the children of Pato-O Elementary School. N2L+MED’s partners, Arizona Nutritional Supplements and Falling Leaf Nutraceuticals, have provided vitamins for the students of the Pato-O elementary school in Odiongan, Romblon, Philippines. The vitamins are provided during the months school is in session. To date over 86,000 children’s multivitamins, iron tablets, prenatal vitamins, and adult vitamins have been dispensed either through the school, our medical clinics, or our sustainability programs. Blessy Mae Marcela was a 2 year-old little girl living in the barangay (village) Pato-O, where N2+MED conducts medical clinics. We met Blessy Mae in 2010 during a clinic focusing on children. It was clear early on that she had a heart defect. N2L+MED funded her consultation with Dr. Karl Reyes, a pediatric cardiothoracic surgeon in Manila. Blessy Mae needed two separate surgeries to survive. Sadly, while coordinating funding for surgery, she suddenly died in 2011. The Blessy May Memorial fund is an emergency fund to quickly address acute life threatenig conditions identified in pediatric patients in our focus community of Pato-O. 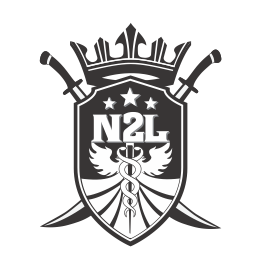 N2L+MED is the division of the Foundation committed to sustainable health interventions. In providing medical care we build relationships and share the Nothing to Lose values with our patients, volunteers, and partners. Essential to all projects is the element of sustainability. As a result many projects focus on education and public health efforts focusing on prevention.